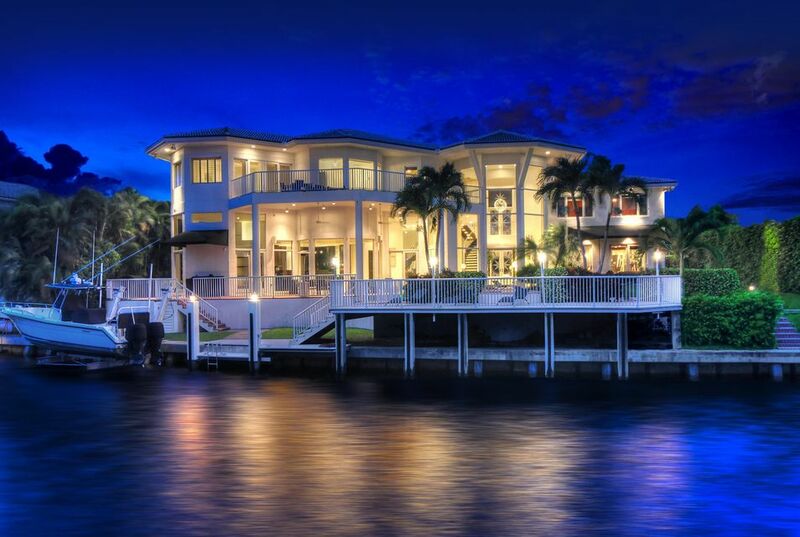 This newly remodeled waterfront estate offers 6 bedrooms, 6.5 bathrooms, an office, and a home theater. Some other great features of the home are the summer kitchen, elevator, exercise room, the resort style pool, the loft, and the 4 car garage. The lot has 120 feet of yacht dockage with a boat lift. The property is near the Intracoastal, but far enough away to not have the constant traffic passing by your backyard. Enjoy the water view from nearly every room! The estate is close to Mizner Park where you can enjoy many restaurants, shopping, and even see a movie. The MLS # for the property is RX-10264436. To get more information on 717 Marble Way here in Boca Raton, please contact one of our dedicated Distinct Estates agents who will be glad to show you homes in Sun & Surf or in other parts of South Florida.